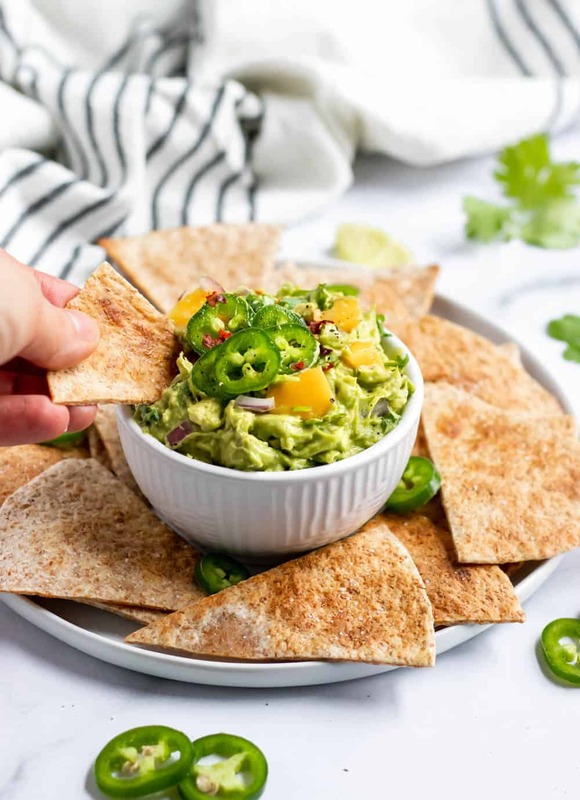 Switch up everyone’s favorite dip with some heat and sweet! 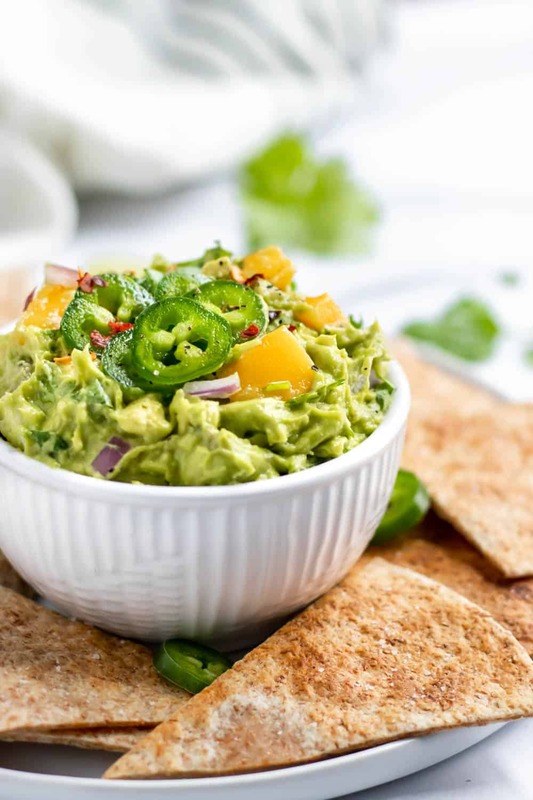 This Spicy Mango Guacamole is an avocado lover’s dream. Mango was made for a dip like this! I won’t lie, in the time I have been trying to write this post, I have found myself doing anything but typing. I have watched about 20 cookie decorating videos on instagram (they are soooo therapeutic), I have played a round of Candy Crush, searched a few things on Pinterest and a handful of other tedious things. I am quite the distracted food blogger today. 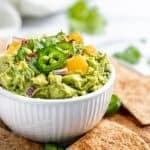 But maybe that is just because not a whole lot really needs to be said about this Spicy Mango Guacamole. That has gotta be it. In all fairness, guacamole speaks for itself. It is the dip that I cannot and will not ever say no to. Ever. And to top it all off, it is Super Bowl weekend (in all fairness, I had no idea that was true until I heard it on the radio today.) and the Super Bowl means lots of DIP! Buffalo dip, salsa, guac, and all the things that can be dipped! I think I make guacamole at least once a week. Avocados are my thing. They have been on sale big time these days so we have been rocking even more of this green goodness. 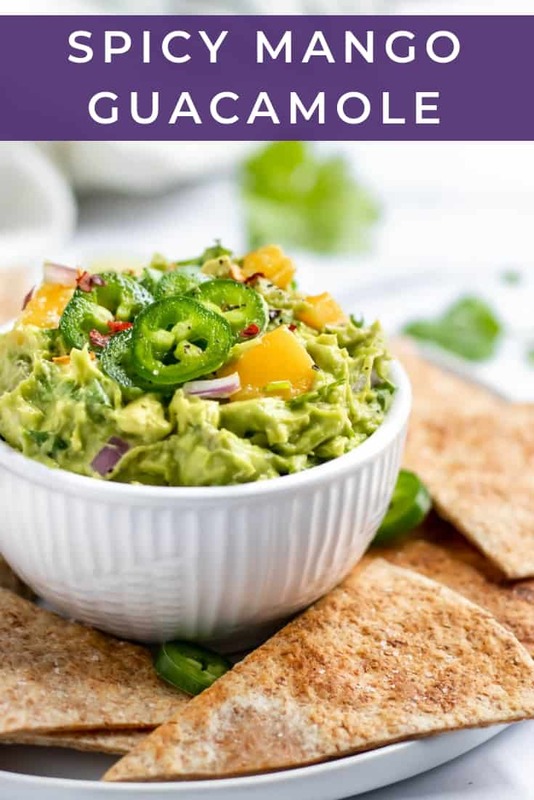 While the basic guacamole never fails, it can be fun to change things up here and there, right? That is what’s up today in our guacamole! And since the past few days have been waaaaay below zero degrees, we could all use a little sunshine–mangoes will do it for me! I like my guacamole spicy, so all the jalapeño for me! That may not be your thing, I get it. 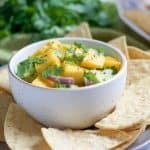 So instead of Spicy Mango Guacamole, you can just have Mango Guacamole. 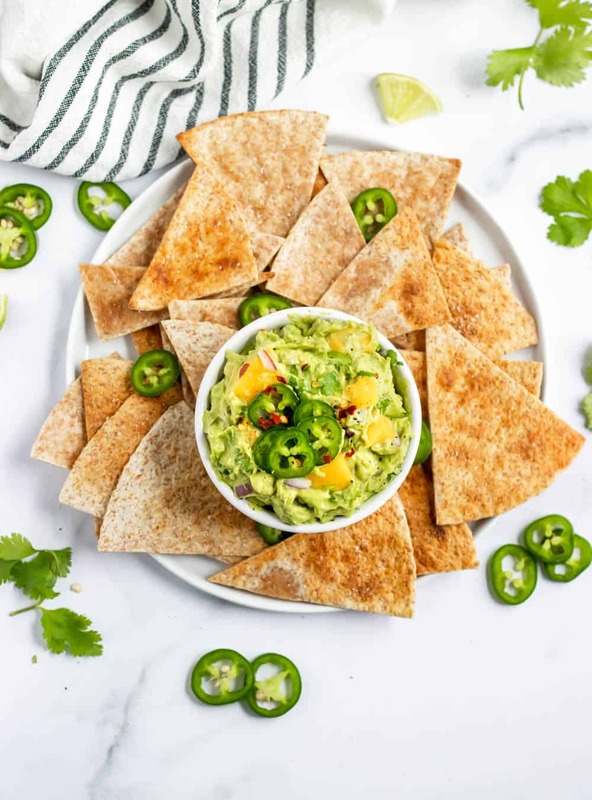 Both are tasty, both are perfectly dippable and both have the fresh, juicy mango to make your guac rock! 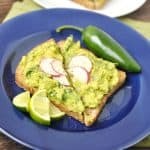 Looking for more fun ways to add some avocado to your life? Remove skin and pit of avocado and scoop into medium bowl. Mash well with a fork or potato masher, but leave chunks. Add all other ingredients, and mix well to combine. Add more salt or pepper to desired taste. 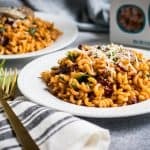 Chill for about 15 minutes before serving with your favorite chips!